In today’s scenario, tablets are being because of their simplicity and high portability. Tablets are gaining importance among the business entrepreneurs who find it highly convenient to carry their work wherever they go. The use of a business tablet, while you are on the go could increase your productivity several times. The best part is that most of the tablets nowadays come with performance features similar to any laptop. Moreover, working with a touchscreen also allows interactive content like presentations, graphs, and even video to be accessed with much ease and instantly. If you are looking forward to buying a business tablet for yourself, then here is our list of the best business tablets 2019 for you. Most business users have this notion that the best business tablets are the ones that are large, powerful and are capable of doing many things at once. 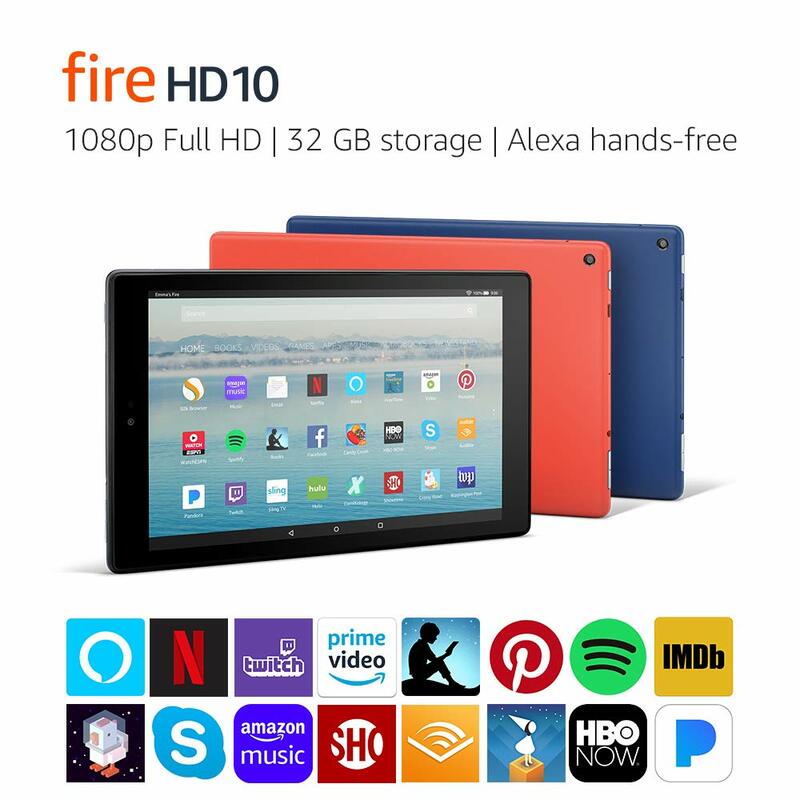 However, the Fire HD10 is an exception, in every way, because it is inexpensive, easy to buy for a number of people if required and can be used for the basic tasks rather than pushing its processing core to the limits. Amazon Fire HD10 is extremely handy in a lot of situations, not because of its processing power but due to its simplicity. The tablet’s specifications are rather limited as it has 32 GB of storage in the base model, a decent 1080p full HD display and runs the latest version of the Android operating system. The apps are plenty but there will be many that favor the Amazon ecosystem, including Kindle app, Amazon Prime Video, Books and also their Alexa voice AI system which allows hands-free operation of the tablet. It has received thousands of positive reviews making Fire HD10 the best tablet you could get, without spending a fortune. The device can be used to take notes, use apps like EverNote, LastPass and can also be used to show presentations, videos or other documents in its large 10-inch display which is on par with every other popular tablet in the market. The Lenovo Yoga Book has a large 10.1-inch display which provides ample space for users to make use of. If you are a business user, you will find it extremely convenient. The Yoga Book 2017 edition is fully convertible allowing you to switch between tablet and laptop mode by simply flipping the display on any side as required. It has a very sturdy finish to it and is connected to the keyboard with a pretty strong hinge. The hinge provides additional support when in laptop mode and also improved grip in tablet mode. While the hybrid tablet may not impress anyone in terms of hardware specifications, it is indeed an innovative idea from Lenovo. The product runs on Android OS, which makes it more versatile for use on the go because a Windows 10 operating system may require installing software manually and troubleshooting them. Android makes it easier to find as many apps as you require in the Play Store and install them in a matter of minutes especially when you are connected to high-speed internet. 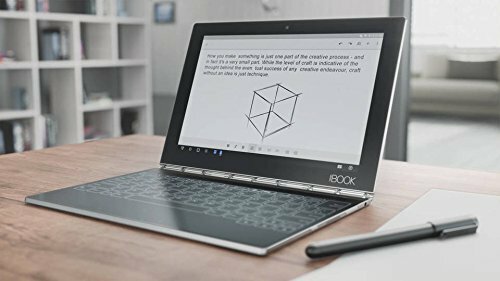 The Yoga Book from Lenovo is available in a stylish gunmetal grey, has a Halo keyboard and the highlight feature is that the bundle includes a stylus pen. Using a stylus may sound old school to some, but for business users, it is easier to draw marks, circles and point out changes in any document with the convenience of having a touch stylus. The tablet uses Wi-Fi AC, has a headphone as well as a microphone jack with a 2-megapixel front-facing camera. The Samsung Galaxy Tab S2 strikes a fine balance between productivity and entertainment. While a business tablet can be anything you want it to be, the S2 is a conventional tablet. It doesn’t come with swivelling displays or a dedicated keyboard to make use of. However, its strong points lie in the fact that it actually has an amazing Super AMOLED display. The technology is a speciality for Samsung and they often end up implementing great displays in all their smartphones and tablets. 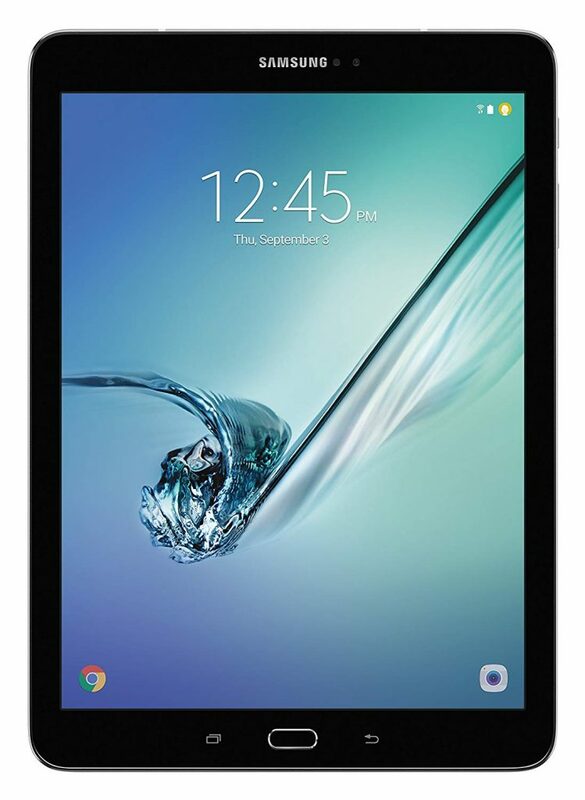 In terms of specifications, the Galaxy Tab S2 sports a moderate 9.7-inch display. The display has a resolution of 2048 x 1536 pixels. The camera supports digital optical zoom up to 4X its original capability. A powerful octa-core processor is used on the inside to ensure it is capable of handling all latest apps with relative ease. You can comfortably have a couple of apps or games open at the same time, but the tablet will not lag or show signs of slowing down. The S2 runs on an older version of the Android operating system but it should support an upgrade to the latest Android OS, at least 7.0 so that you can make use of most of the apps in the Play Store. 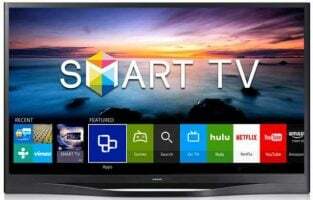 It also allows you to easily cast your photos and videos when you use supported Samsung televisions. The tablet comes with a lower 32 GB of storage space but it does support SD card which will allow you to expand it up to 128 GB making a mobile powerhouse to store all the files you need to access on the go. For business users who have already made up their mind and are ready to spend a small fortune to own the best business tablets of them all, this one is a perfect choice. 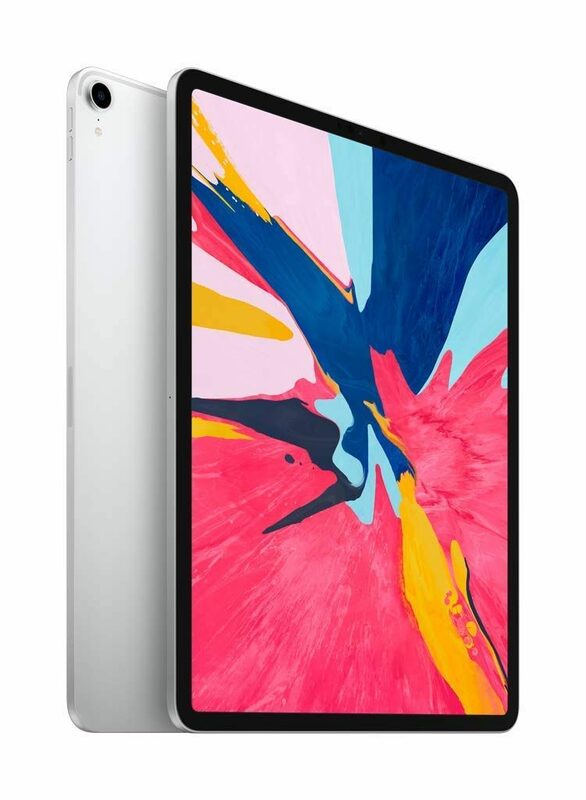 You can buy the Apple iPad Pro 12.9-inch 2019 edition without having to think twice because tablets couldn’t get more powerful than this. Apple has gone all in by promoting it as an alternative to laptops because it has additional peripherals such as a magnetic stylus pen and keyboard that you can purchase separately. 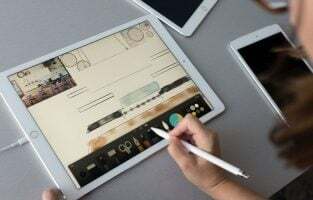 The hardware specifications of the iPad Pro released in the year 2019 is simply off the charts because it can easily allow you to use video editing, photo editing and music making apps with relative ease. Besides, the storage capacity of the device has been bumped up to a massive 512 GB providing enough space to save all your files and go back to them whenever they need to be edited. The device is expected to last 10 hours on a single charge and should be more than enough to last an entire day of usage. 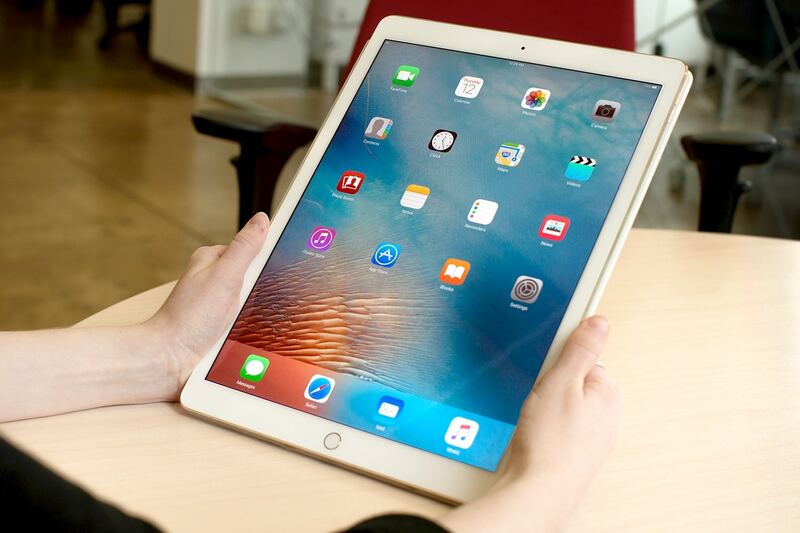 The iPad Pro is available in different display sizes, but the 12.9-inch variant is the biggest of them all. It provides improved screen real estate, has an amazing glass display and resolution that makes images, videos come to life. The tablet is also powered by the fastest Wi-Fi AC that provides excellent connectivity and uses USB C port for connectivity. Apple has been using multiple ports but USB C is the universal standard. They have however removed the 3.5 mm headphone jack and the home button on this tablet. 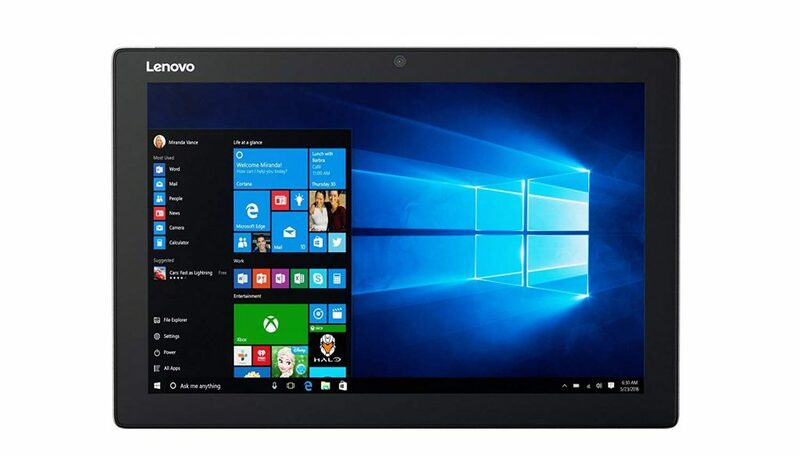 Lenovo has been very innovative in this regard as the company released many hybrid tablets, bringing the best of business laptops and tablets together. The Miix 510 is one such product which features a detachable tablet so that you can enjoy the experience without being tied to the keyboard. However, when you are really in the mood to be productive, it is easy to attach it back and start typing away. The biggest advantage of the product is that it features a really large display, a 12.2-inch 1080p display. It makes it fun to watch videos, movies, listen to music and also easily type and send emails. Business users often end up opening multiple excel files and the tablet is powered by Windows operating system makes it easier to use native software applications than opting for the Android version of MS Excel or Word. The manufacturer Lenovo promises that you can expect a reliable 8 hours of battery life. Considering the hardware specifications, the time is more than justified and should be able to get you through an entire day before it needs to be recharged. The tablet supports Lenovo Active Pen, a stylus which facilitates easy drawing, marking stuff on a website or presentation which can later be sent to the team for additional modification. It also features stereo speakers delivering the best surround sound experience on a small device when watching videos or showing it off to clients. Microsoft has released a bunch of premium, high-quality tablets and laptops in recent years. While they have ensured that the Surface Pro series is being promoted as a tablet solution, the Surface Book 2 is an equally good tablet that you might mistake for a laptop. Almost every other product released these days have a touchscreen interface and once they are made with a swivelling design, you can use it any way you want while getting lots of office work done. 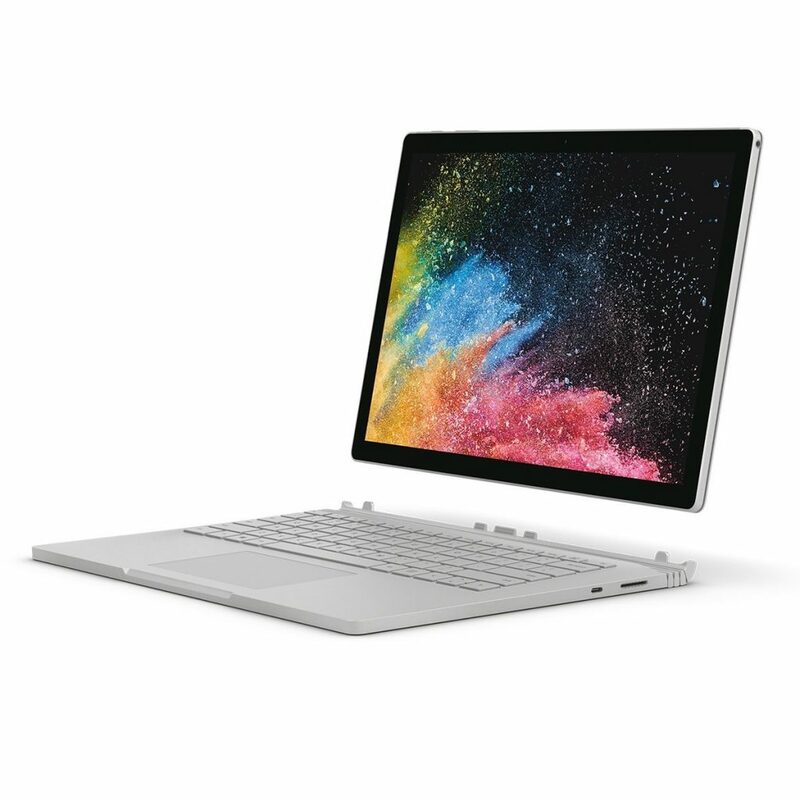 The Surface Book 2 is expensive but you get two different products in one. It is a hybrid tablet plus laptop which is available in different hardware configuration options. 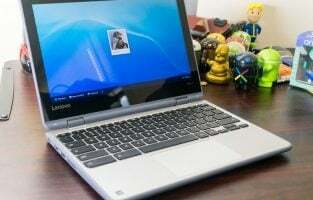 The base model is powered by an Intel i5 processor while you can choose to go all the way up to an i7 quad-core processor with 8 GB of RAM. The surprise element of the product is that it features a dedicated graphics card, an Nvidia GTX 1050 which is capable of casual gaming and allowing you to use Photoshop easily. The tablet features a 13.5-inch display which is exceptionally large but makes it more productive when in tablet mode. The screen has a resolution of 3000 x 2000 pixels which makes it extra sharp and crisp when viewing visual content. The device runs on full Windows 10 Pro making it the perfect companion for productive business users who are not happy using iOS or Android mobile operating systems when they are on the move. The Acer Switch 7 is the highest of the models available from the brand. 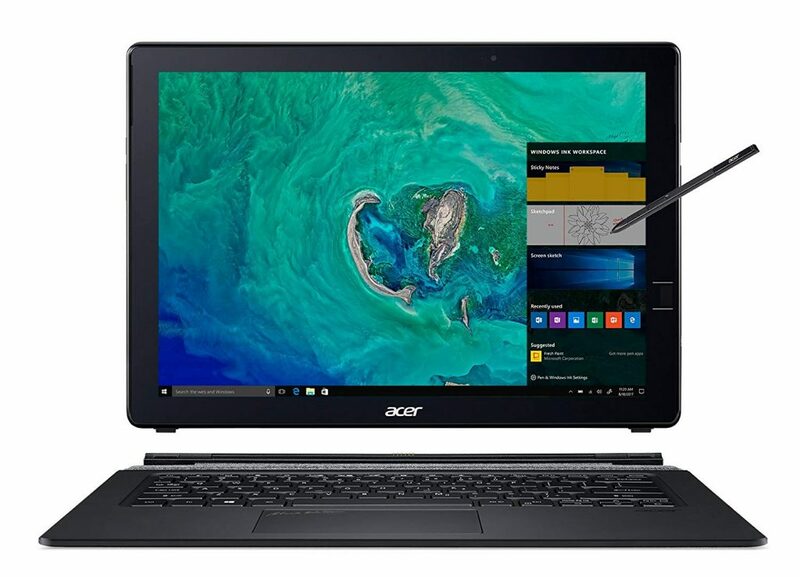 Acer also sells a Switch 3 and Switch 5 but if you are looking for the best performance combined with the excellent build quality and features, the Switch 7 comfortably holds its name as the flagship product in the lineup. The tablet features a large 13.5-inch display which provides ample screen space for you to work on, view presentations, large excel sheets and also use it for entertainment purposes like watching movies or YouTube videos. The tablet uses SSD storage technology and if you already didn’t have the opportunity to experience its speed, it’s extremely fast and reliable at the same time. The manufacturers promise that you can get a solid 8 hours of battery life which should allow most people to get through an entire day’s work. You can also consider reducing the screen brightness to further increase its battery life. The Acer Switch 7 Black Edition is a special model with an all-black finish. The tablet readily supports a stylus pen out of the box which is essential to use it in a business environment. For added convenience, it also has a stand on the back. You can just flip it open to use it in monitor mode along with a keyboard. Instead of rubber keys, the keyboard provided with the bundle allows you to instantly convert it into a laptop. It also includes the stylus in the box so that you don’t have to purchase it individually. The Google Pixel C could probably be a bit old now because it was released some years ago but it still is a powerful business tablet that should probably make purists happy. While most tablets from Samsung, Asus or LG uses its own skin, if you are looking for a great vanilla Android experience there is no better way to go than opt for the Pixel C which falls in the lineup with all the amazing features of a tablet with unadulterated Android running in it. 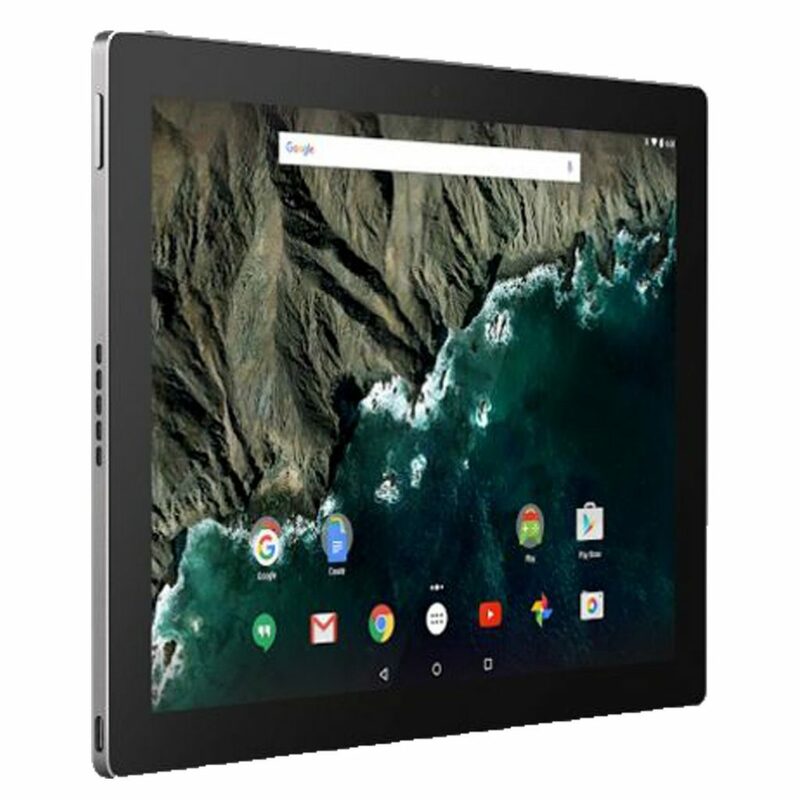 The Pixel C has a moderately sized 10.2-inch display with an HD resolution. The product has sturdy build quality and thickness so that you can easily hold it in both hands. There is no need to feel as if you would break it because it is made of sturdy metal and can last longer. While for the same price, that is over a $1000, you can still buy an iPad Pro, this one excels at providing an Android experience which is quite different from what Apple offers in their iOS devices. The tablet has large bezels which stand proof for its age. 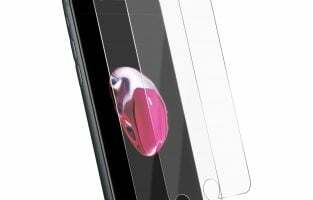 After all, most products of the modern generation are moving towards a bezel-less design and are even trying to remove the front camera for a clean design. The tablet also uses a chipset which is hardly found in any new products but it is quite powerful to handle most tasks. It is also made by Nvidia which allows users to gain an additional graphical advantage when using a processor made by one of the best graphics cards manufacturer in the world. 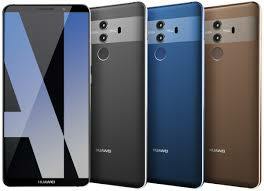 Huawei, as a company, has gained strong traction in the smartphone industry with their Honor phones. The MediaPad M5 seems like a solid entry into the world of tablets even though they have already released many tablets in this series. The newest model is stylish, powerful in terms of specs and easy to hold made possible by a 2.5D curved glass display. The tablet sports a compact 8.4-inch display and it uses dual stereo speakers which ensures amazing sound output for the media viewing experience. Be it watching movies, showing presentations or YouTube videos, everything can be done without having to rely on headphones every time. The curved metal body feels good to hold in the hands and it is powered by the latest Kirin processor. The MediaPad M5 should deliver an amazing 11 hours of screen time and can get fully charged in just 2 hours which is the shortest you could expect with a battery of this size. It runs on Google 8.0 Oreo operating system and may receive an update in the future. If you happen to be a bundle of creative ideas on the go, then you need something powerful to meet your innovative needs. In such a case, Apple’s iPad Pro is a perfect option for you as it captures your ideas seamlessly and ensures that your work is done perfectly. The benchmark Apple Pencil stylus and the excellent keyboard cover make this tablet the best suited for business entrepreneurs for creative works. Apple’s new split-screen also debuted with this iPad and it offers multitasking features to the users. If you wish to have a desktop experience on your tablet, then this is the best one for you. When working, you have to access a lot of applications like Microsoft Office, Outlook, and other Windows apps. With the Microsoft Surface Pro 4 tablet, you do not have to sacrifice any of your important tasks as it offers the closest desktop experience in its little tablet package. Unlike other tablets, the Microsoft Surface Pro 4 runs the full version of Windows OS. 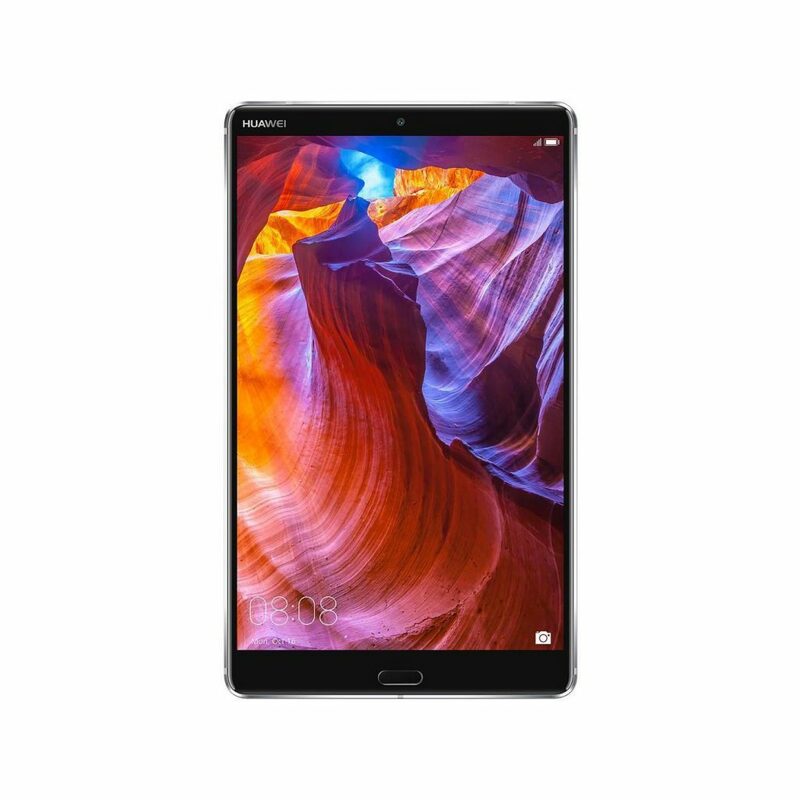 With its sleek design, a high-resolution screen, and powerful processor, you could consider shifting from your bulky laptop to this lighter, yet powerful tablet version. If your business and life are completely online, then you cannot afford to carry your bulky laptop everywhere. 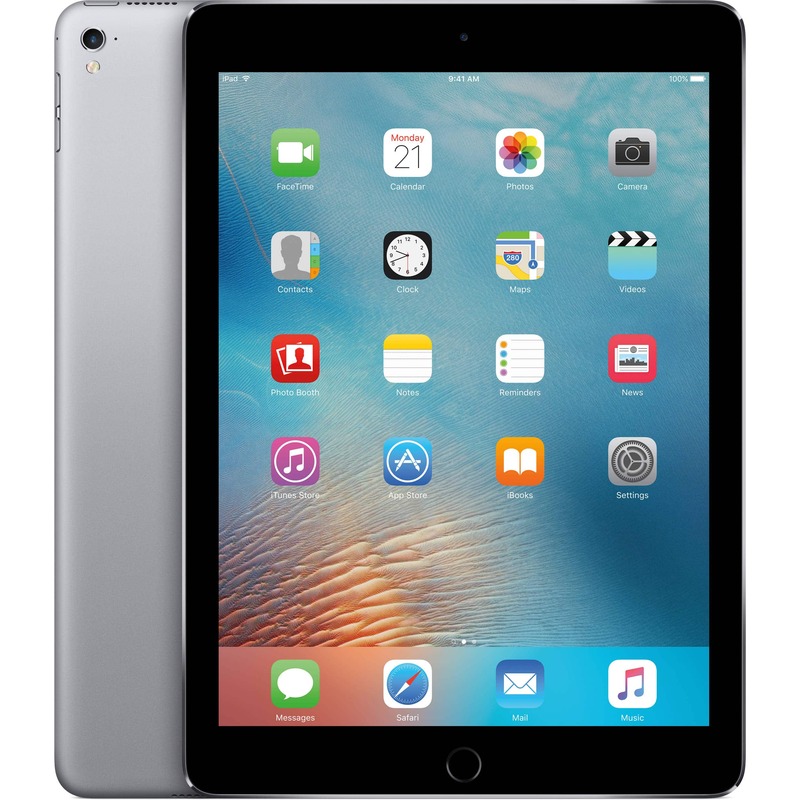 At such times, the highly powerful and convenient Apple iPad Pro 10.5-inch comes to your help. If you have the need to constantly post, stream online, or connect with new clients; then this tablet by Apple is ideal for you. The screen offered is large enough to do all your tasks with much ease. If you feel comfortable with Android OS and wish to have a seamless experience on a tablet, then the ASUS ZenPad 3S 10 is the perfect option for you. 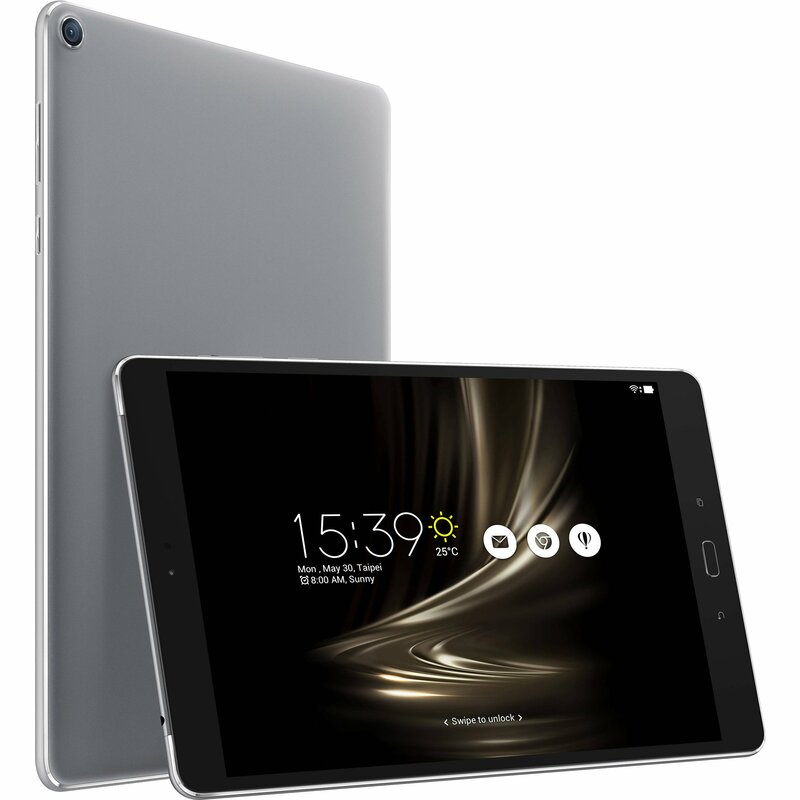 If you wish to keep your business consistent throughout with Android use, then this affordable tablet is designed specifically for such entrepreneurs. With its lightweight features and amazing screen display, you can expect a lot out of this small package. If you happen to be a multitasking entrepreneur, then you might need a powerful and highly portable version of the tablet. 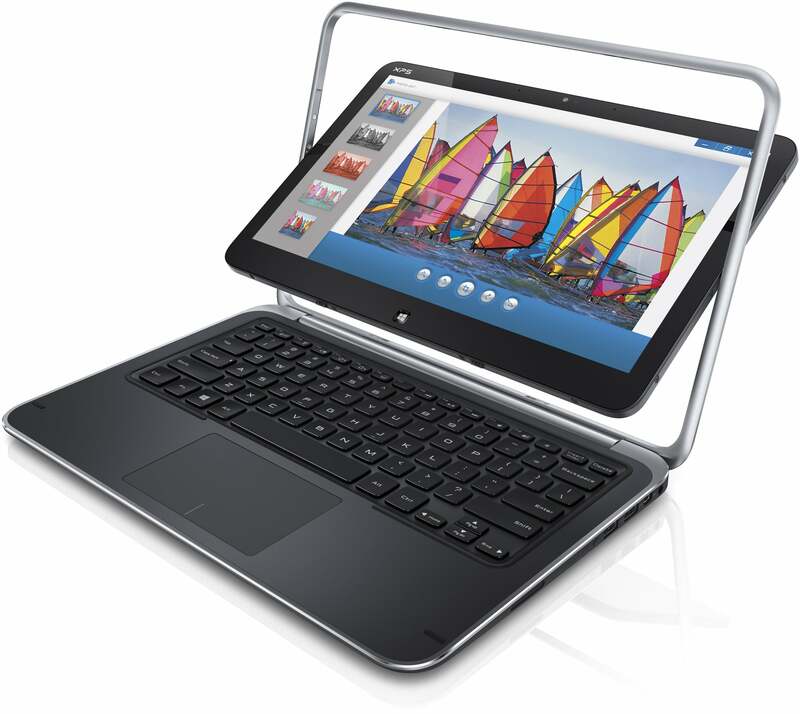 Dell XPS 12 is the best tablet in this series with user-friendly keyboard dock and affordable price range. This perfect laptop replacement also provided support to the Active Stylus of Dell for enhanced digital linking by the entrepreneurs.